Astronauts Anne McClain (left) and David Saint-Jacques work outside the International Space Station during their spacewalk on April 8, 2019. Expedition 59 Flight Engineers Anne McClain of NASA and David Saint-Jacques of the Canadian Space Agency concluded their spacewalk at 2 p.m. EDT. During the six-and-a-half-hour spacewalk, the two astronauts successfully established a redundant path of power to the Canadian-built robotic arm, known as Canadarm2, and installed cables to provide for more expansive wireless communications coverage outside the orbital complex, as well as for enhanced hardwired computer network capability. The duo also relocated an adapter plate from the first spacewalk in preparation for future battery upgrade operations. This was the third spacewalk in just under a month on the space station. The first two spacewalks installed powerful lithium-ion batteries for one pair of the station’s solar arrays. On March 22, the first spacewalk was completed by McClain and fellow NASA astronaut Nick Hague. On March 28, the second spacewalk was completed by Hague and NASA astronaut Christina Koch. 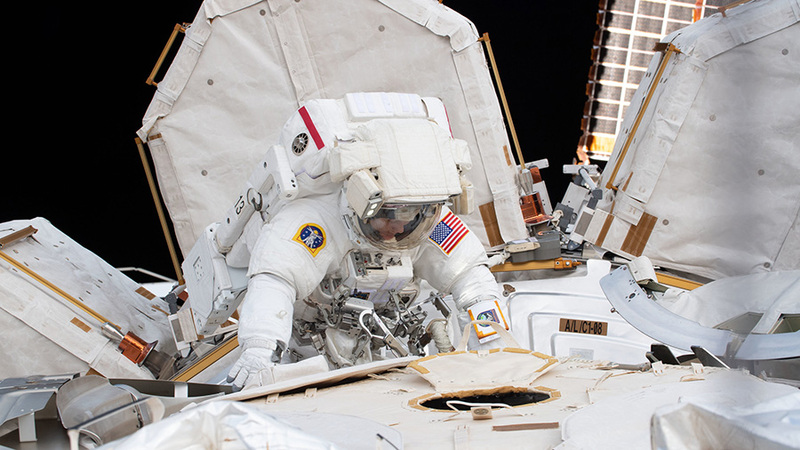 March 22 was the first spacewalk for NASA astronauts Hague and McClain. 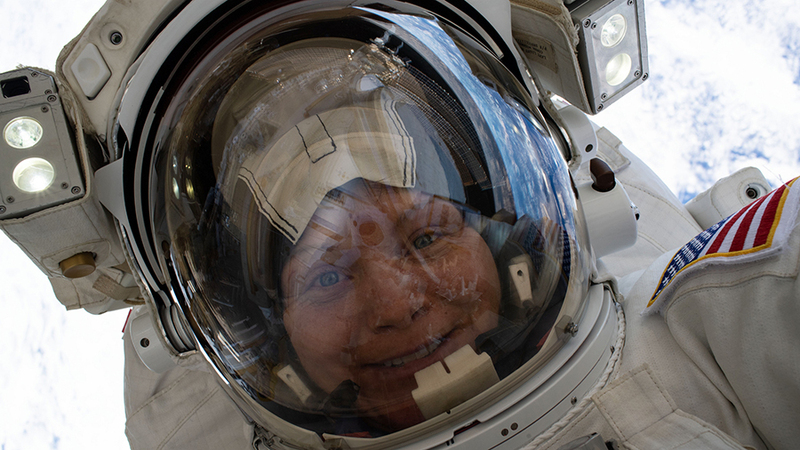 McClain became the 13th female spacewalker in history. March 29 also was the first spacewalk for NASA astronaut Christina Koch, who became the 14th female to complete a spacewalk. Saint-Jacques became the first Canadian Expedition astronaut to walk in space and the fourth Canadian astronaut to spacewalk overall. Space station crew members have conducted 216 spacewalks in support of assembly and maintenance of the orbiting laboratory. Spacewalkers have now spent a total of 56 days 10 hours and 53 minutes working outside the station. Learn more about station activities by following the space station blog, @space_station and @ISS_Research on Twitter as well as the ISS Facebook and ISS Instagram accounts. NASA astronaut Anne McClain works outside the U.S. Quest airlock during a March 22, 2019, spacewalk to upgrade the International Space Station’s power storage capacity. NASA astronauts Anne McClain and David Saint-Jacques have begun the third spacewalk in under a month on the exterior of the International Space Station. Today’s spacewalk will work to establish a redundant path of power to the Canadian-built robotic arm, known as Canadarm2, and install cables to provide for more expansive wireless communications coverage outside the orbital complex, as well as for enhanced hardwired computer network capability. The spacewalkers set their spacesuits to battery power this morning at 7:31 a.m. EDT then exited the Quest airlock into the vacuum of space. The team will spend about six-and-a-half hours installing truss jumpers to provide a redundant power source for the Canadarm2 robotic arm. This is the 216th spacewalk in support of space station assembly and maintenance. McClain will be designated extravehicular crew member 1 (EV 1), wearing the suit with red stripes. Saint-Jacques will be designated extravehicular crew member 2 (EV 2), wearing the suit with no stripes. NASA astronaut Anne McClain takes a “space-selfie” with her helmet visor up 260 miles above the Earth’s surface during a spacewalk on March 22, 2019. Expedition 59 Flight Engineers Anne McClain of NASA and David Saint-Jacques of the Canadian Space Agency are scheduled to conduct another spacewalk Monday, April 8, to establish a redundant path of power to the Canadian-built robotic arm, known as Canadarm2, and install cables to provide for more expansive wireless communications coverage outside the orbital complex, as well as for enhanced hardwired computer network capability. Watch the spacewalk on NASA TV and on the agency’s website. Live coverage of the spacewalk will begin at 6:30 a.m., and is expected to last about 6.5 hours. The spacewalk is set to start at 8:05 a.m. This will be the 216th spacewalk in support of space station assembly and maintenance. McClain will be designated extravehicular crew member 1 (EV 1), wearing the suit with red stripes. Saint-Jacques will be designated extravehicular crew member 2 (EV 2), wearing the suit with no stripes. This is the third spacewalk in under a month on the space station. 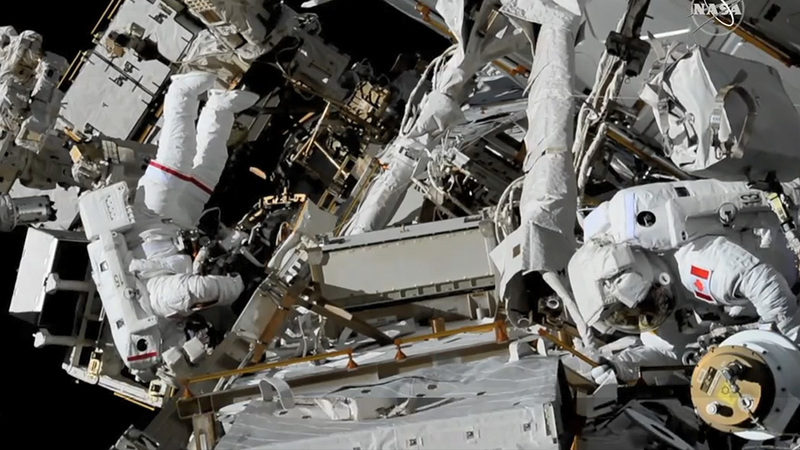 The first two spacewalks installed powerful lithium-ion batteries for one pair of the station’s solar arrays. On March 22, the first spacewalk in the series was completed by McClain and fellow NASA astronaut Nick Hague. On March 29, the second spacewalk was completed by Hague and NASA astronaut Christina Koch. The spacewalking work continues the overall upgrade of the station’s power system that began with similar battery replacement during spacewalks in January 2017. Astronaut David Saint-Jacques of the Canadian Space Agency works on a pair of U.S. spacesuits inside the Quest airlock ahead of a trio of spacewalks to upgrade power systems on the International Space Station. The Expedition 59 crew is going into the weekend preparing for another spacewalk on Monday. The International Space Station residents also continue microgravity research as they wait for two U.S. cargo ships to arrive before the end of the month. 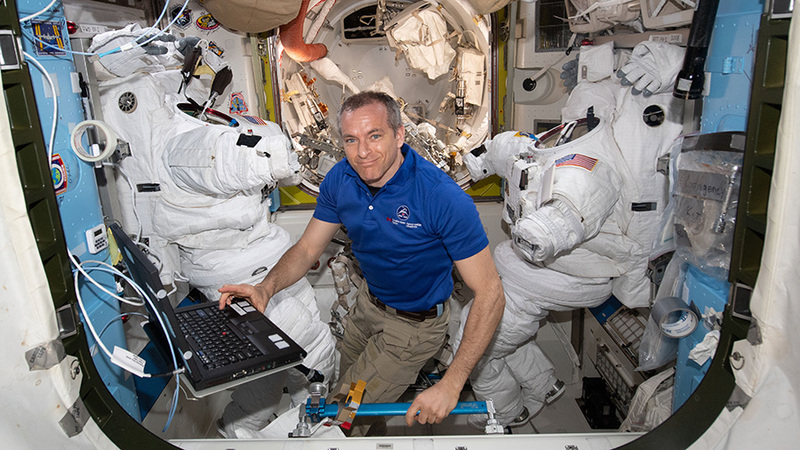 Astronauts Anne McClain and David Saint-Jacques are getting their tools ready for another power upgrades spacewalk and will wrap up their final procedures review on Sunday. The spacewalkers will set their spacesuits to battery power around 8:05 a.m. EDT Monday signifying the start of their spacewalk and exit the space station’s Quest airlock. The duo will work outside for about six-and-a-half hours installing truss jumpers to provide a redundant power source to the Canadarm2 robotic arm. McClain and Saint-Jacques will also install cables to update the station’s External Wireless Communications system. NASA TV starts its live coverage at 6:30 a.m. Monday. 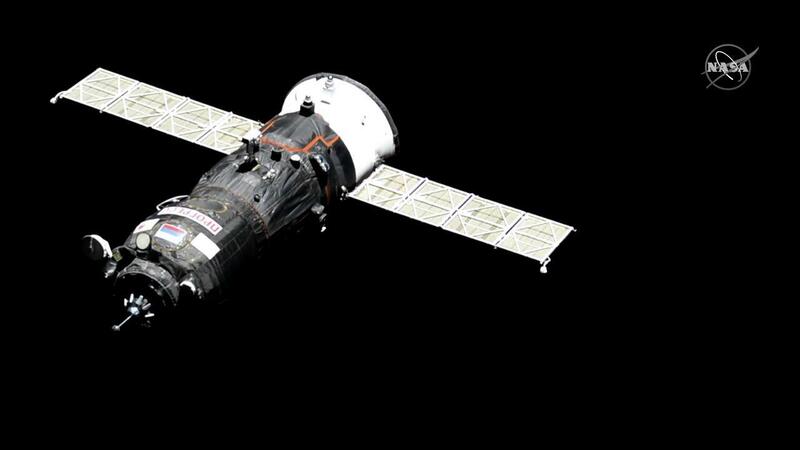 Russia’s Progress 72 (72P) resupply ship delivered over 3.7 tons of food, fuel and supplies after docking to the Pirs docking compartment Thursday morning. Next up is Northrop Grumman’s Cygnus space freighter when it launches from Virginia on April 17 on a two-day ride to the station’s Unity module. SpaceX follows in late April when its Dragon cargo craft blasts off from Florida on a two-day trip to the orbital lab’s Harmony module. Virtual reality filming and space research continued full pace inside the orbital lab today. Flight Engineer Christina Koch first strapped herself into an exercise bike to measure her aerobic capacity then set up a virtual reality camera inside the Unity module today. Nick Hague of NASA then recorded himself describing his space experiences for a short immersive, cinematic film. Cosmonauts Oleg Kononenko and Alexey Ovchinin unloaded the new 72P and worked on an array of life science experiments in the orbital lab’s Russian segment. The duo photographed red blood samples and microbes to help doctors keep long-term crews healthy in space. 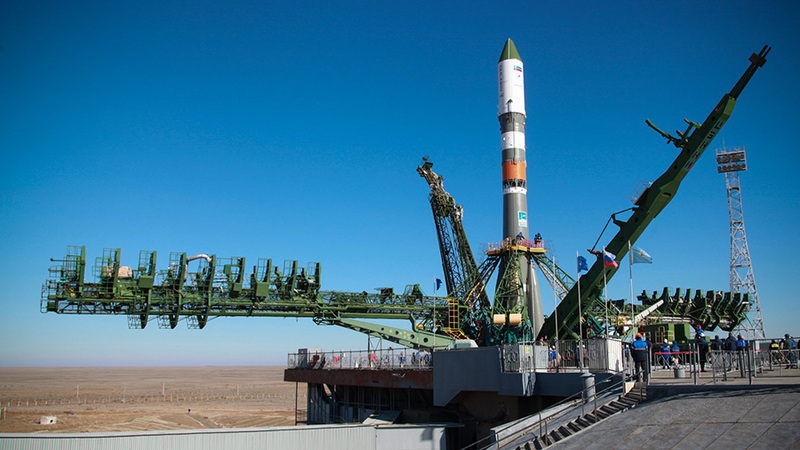 NASA Television will broadcast live the launch of a Russian Progress cargo spacecraft carrying more than three-and-a-half tons of food, fuel and supplies for the Expedition 59 crew aboard the International Space Station. Watch live on NASA TV and the agency’s website at 6:45 a.m. EDT. 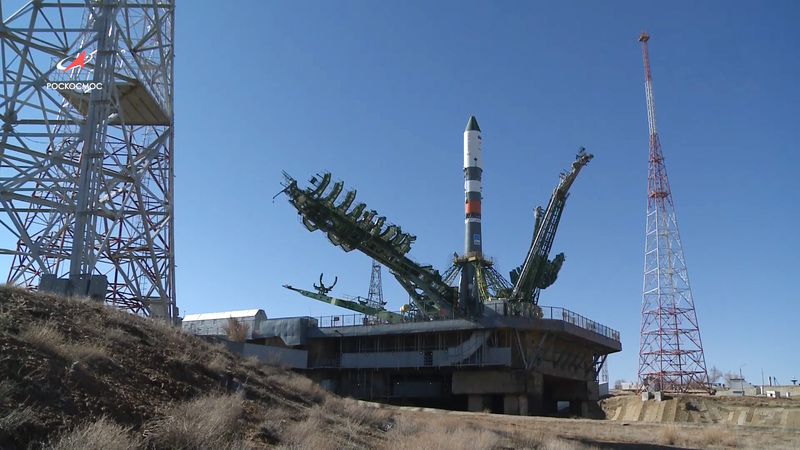 The Progress 72 spacecraft is scheduled to launch from the Baikonur Cosmodrome in Kazakhstan at 7:01 a.m. (4:01 p.m. Baikonur time). NASA Television will provide live launch coverage of a Russian Progress cargo spacecraft carrying more than three-and-a-half tons of food, fuel and supplies for the Expedition 59 crew aboard the International Space Station. Watch live on NASA TV and the agency’s website beginning at 6:45 a.m. EDT. The Progress 72 spacecraft is scheduled to launch from the Baikonur Cosmodrome in Kazakhstan at 7:01 a.m. EDT (4:01 p.m. Baikonur time). 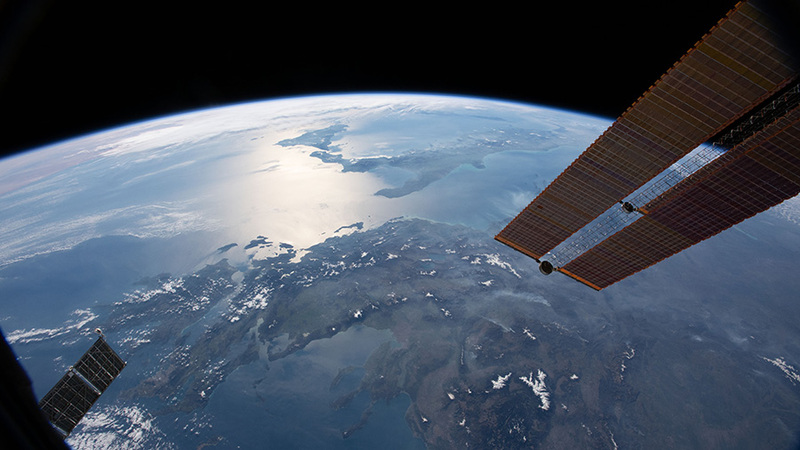 The International Space Station orbits 256 miles above the Aegean Sea. This view looks from east to west, from Greece to the boot of Italy and the island of Sicily. The sun’s glint radiates off the Ionian Sea in between the two nations. Human research and spacewalk preparations are underway aboard the International Space Station today. A Russian cargo rocket is also preparing to blast off Thursday morning and resupply the Expedition 59 crew. Astronauts Nick Hague and Christina Koch took turns this morning testing their vision. They tested their visual acuity and contrast sensitivity using an eye chart in the Destiny lab module. The station residents also collected more blood and urine samples today aboard the orbital lab. They spun the samples in a centrifuge and stored them in a science freezer. Scientists will later analyze the samples on the ground to understand how living in space affects human physiology. Upcoming spacewalkers Anne McClain and David Saint-Jacques reviewed next week’s spacewalk and tagged up with specialists on the ground. Both astronauts also checked out their spacesuit batteries and glove heaters. They will set their spacesuits to battery power Monday at 8:05 a.m. EDT then exit the Quest airlock into the vacuum of space. The spacewalkers will spend about six-and-a-half hours installing truss jumpers to provide a redundant power source for the Canadarm2 robotic arm. In Kazakhstan at the Baikonur Cosmodrome, a Russian Progress 72 (72P) resupply ship stands ready to launch on a two-orbit trip to the station. The 72P will liftoff Thursday 7:01 a.m. and dock to the Pirs docking compartment at 10:25 a.m. NASA TV will broadcast the launch and docking of the spaceship carrying more than three tons of food, fuel and supplies. The Expedition 59 crew is ramping up for new supplies arriving at the International Space Station on Thursday and another spacewalk taking place on Monday. The orbital residents also managed to conduct ongoing microgravity science and life support maintenance today. Flight Engineers Anne McClain and David Saint-Jacques are readying their spacesuits and tools for a spacewalk set to begin Monday at 8:05 a.m. EDT. The spacewalking duo will install truss jumpers next week to provide a redundant power source to the Canadarm2 robotic arm. 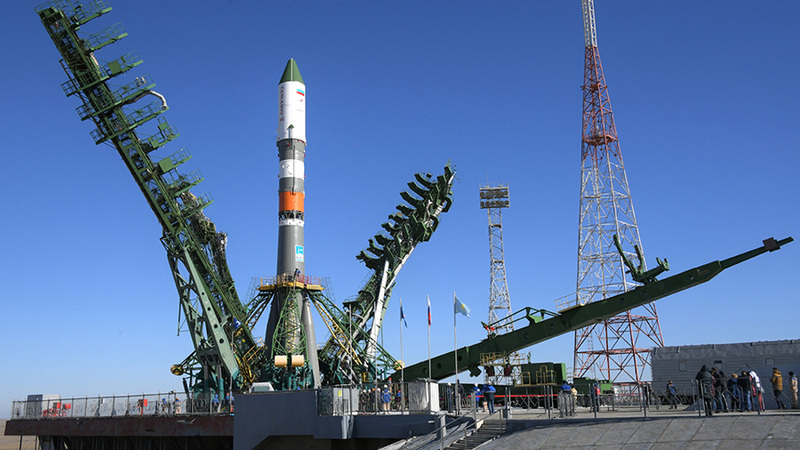 Back on Earth, the Progress 72 (72P) resupply ship stands ready to blast off Thursday at 7:01 a.m. EDT from the Baikonur Cosmodrome in Kazakhstan. Just two orbits later, it will catch up to the station carrying nearly three tons of food, fuel and supplies. It is scheduled to dock to the Pirs docking compartment at 10:25 a.m. where it will stay until the end of July. 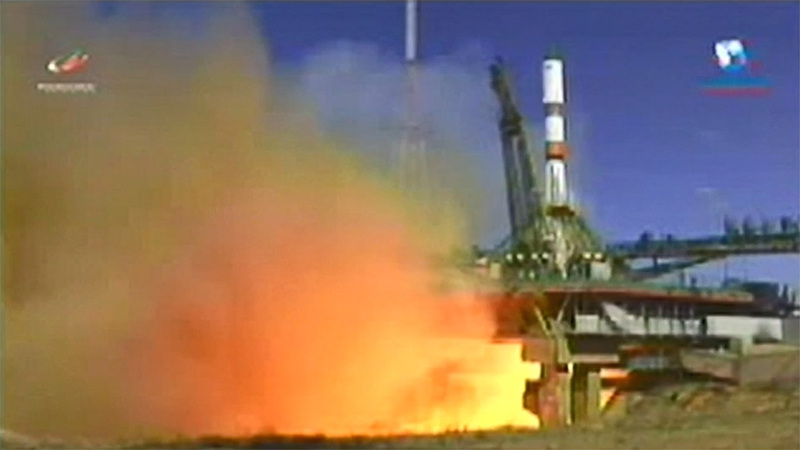 NASA TV will broadcast the launch and docking activities live. Cosmonauts Oleg Kononenko and Alexey Ovchinin will monitor the 72P’s approach and rendezvous from inside the Zvezda service module. The duo will be at the controls of the TORU, a backup manual docking system, to guide the 72P to a docking in the unlikely event the 72P’s automatic Kurs docking system fails. The astronauts also worked throughout Tuesday collecting blood and urine samples, spinning the samples in a centrifuge and storing them in a science freezer for later analysis. The cosmonauts explored space-piloting techniques before moving on to plumbing and atmosphere revitalization tasks.